Do you want to learn more about mosaics? Or do you want to improve your current mosaic skills? There is no better way to do so than to take a class. At di Mosaico, we offer a range of classes, taught by professional artists at our Tucson location. Whether you are new to the world of mosaics or an experienced mosaicist, check out our class schedule below. Tucson offers a relaxing and scenic atmosphere to help inspire your creativity. If you have never visited before, or if you want to learn more, go to VisitTucson.org. If you are interested in teaching at di Mosaico, or if you offer classes at your studio, contact us through our Contact page. We are happy to post information about your program and provide a link on our website. Located in Cape Cod, the mission of Cape Cod Mosaic Workshops is to help each student come into confident possession of their innate talents, improve the skills needed for success as a mosaic artist and to reach their personal goals as an artist. Since it was founded in early 2005, The Chicago Mosaic School has become the center of education for mosaic arts in the United States. As the first Mosaic Arts school in the Americas, CMS attracts students and instructors from around the world - all seeking a high level of arts education and inspiration that does not exist anywhere else. Located in Charlotte, NC, Ciel Gallery + Mosaic Studio, is one of the few galleries dedicated to the exhibition of Fine Art Mosaics in the US. In addition, Ciel also offers classes and workshops for all levels of mosaic skill, utilizing local and international instructors. Bonnie Fitzgerald is a working artist and founder of Maverick Mosaics. Her company specializes in unique learning experiences and creating beautiful art. Since 2006 Maverick Mosaics has hosted Washington, DC's broadest schedule of acclaimed visiting mosaic artists from around the world. 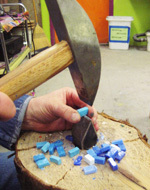 Fitzgerald teaches workshops throughout North America and is the resident artist for the Smithsonian Institute’s Studio Arts Department developing and teaching mosaic workshops year round. Fitzgerald is the author of two best selling books: "300+ Mosaic Tips, Techniques, Templates, and Trade Secrets" and “Bonnie Fitzgerald’s Guide to Mosaic Technique. Michael Kruzich is a classically trained mosaicist working with both smalti and stone. Michael travels to teach at various venues around the U.S. and is a frequent instructor at Institute of Mosaic Art. Michael is based in San Francisco, CA where he maintains his studio practice creating fine art mosaics, reproductions and commissions for private/commercial clients and teaching the classical Italian principles and methods of making mosaics. Karen Silton has been a full-time professional ceramist, fine art mosaicist and educator for the last twenty years. She has created an ongoing, ever expanding career as an artist due to her incredible versatility and design capabilities. Karen has been teaching beginner through advanced mosaic classes since 1998 as well as co-hosting internationally known visiting artists. 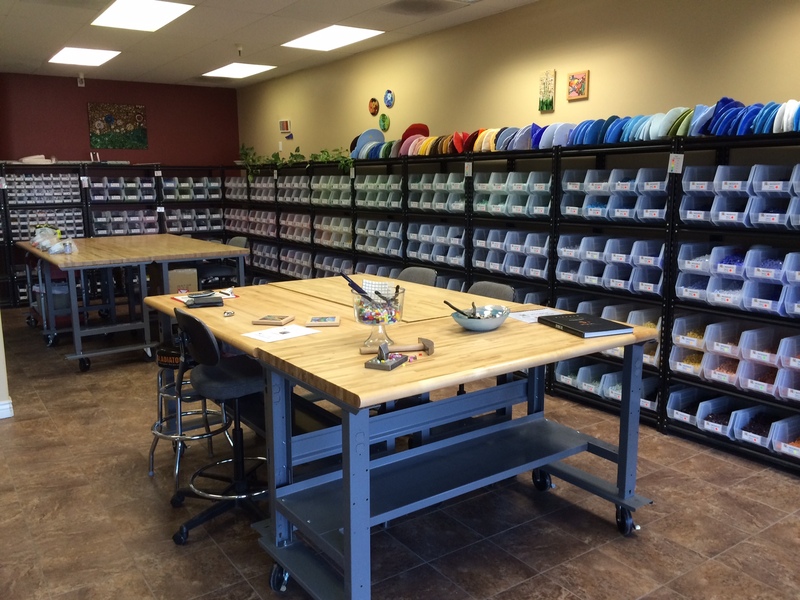 Karen's studio is located in Woodland Hills, CA. 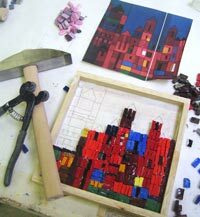 Located in Ravenna, Italy and founded in 1969, Mosaic Art School offers a wide range of instruction in the artistic production of mosaics, including all of the mosaic methods and micromosaics. Santa Barbara School of Mosaic Art was founded in 2009 by mosaic artist Tami Macala. 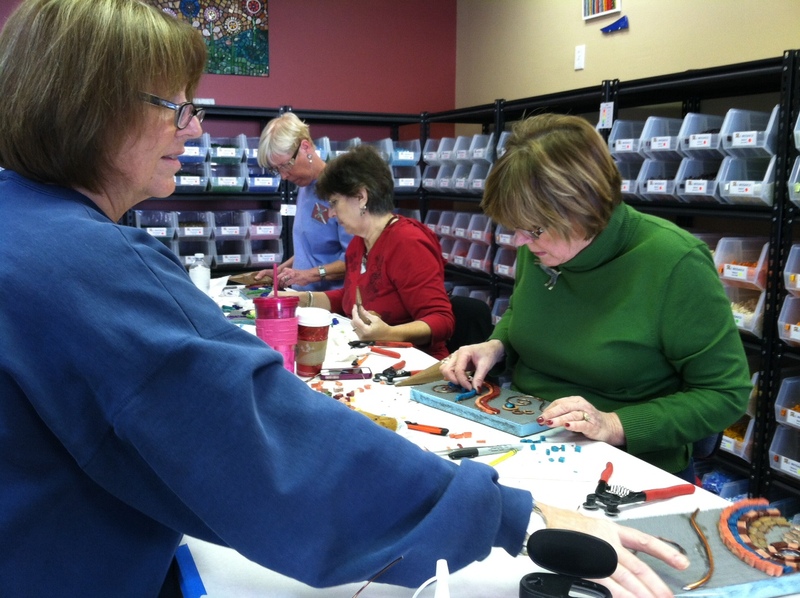 SBSMA is a great place to learn mosaic art in a creative and informative environment. SBSMA hosts many talented visiting artists that travel from all over the world to come share their knowledge and expertise. The variety of workshops lead students down many different mosaic paths, where the possibilities are endless. Founded by Dr. Claire Barnett in 2009 to create community and support through shared creativity, the studio features workshops from international visiting artists, mosaic technique classes, lectures, art shows, group events, commissions, and, of course, space and time to create your own mosaic projects.